Fab place, staff are lovely and professional in all areas! Guaranteed to leave with a smile on your face! 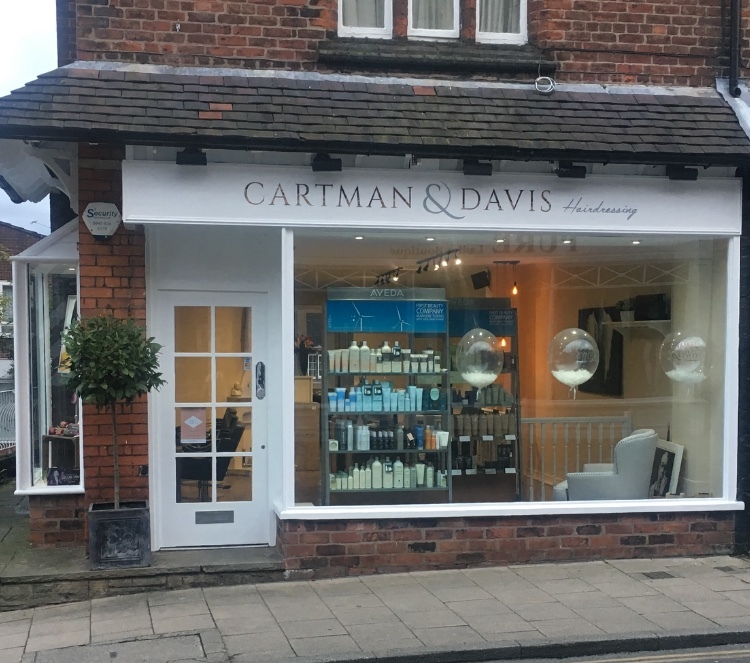 It was my first visit at Cartman&Davis for full head high lights and a cut. Also my first experience with Aveda colour and products. Lots of grey hair had to be coloured.... Pamela did an amazing job and I am very happy about the result!! I particularly liked that she did the colour and the cut. I highly recommend her and I will definitely come back. Loved my hair up and a pleasurable experience as always! Reliable, consistent cut from the owner/stylist Pamela who has cut and coloured my hair for 10 years now! Need i say more? Superb service from Pam & the girls, very pleased with new shape I asked for. Thank you. Just spent a couple of relaxing hours with Pam having my hilights done. Really pleased with the colours and blow wave. Such a lovely friendly salon. Great results every single time and so friendly. Pam and the team always make my visit to the salon relaxing and enjoyable. Always look forward to my visit to the salon and I always receive lovely comments on my hair. Excellent service. Mel was amazing. Definitely going back again! Great service as usual, would certainly recommend! I love my regular visits to the Knutsford salon and can recommend the professional styling and personal service.